Now you can download and install the latest Android 8.0 Oreo firmware with February Security Patches on your Samsung Galaxy S8, Galaxy S8 Plus, and Galaxy Note8 Devices. 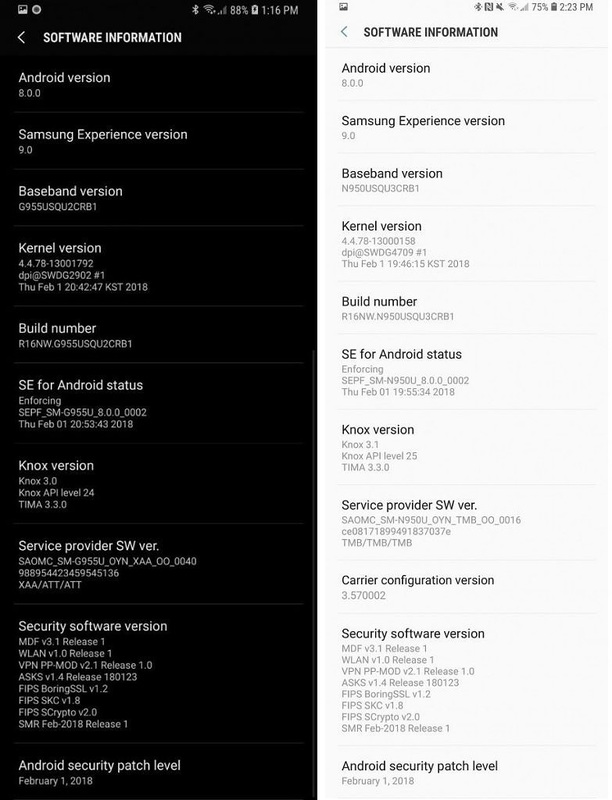 Yes, The leaked build of Android OREO in now available for the Samsung Galaxy S8/S8+ and Note8. If you are the Samsung Galaxy S8/S8+ and Note8 user, then you can enjoy this new update on your phone. As per the XDA forum, you can install these new build form the Samsung Stock Recovery and 100% safe to install. You can install them by first flashing version BQL1 via Odin on the Samsung Galaxy S8 and Galaxy S8+, and flash version BRA8 on the Samsung Galaxy Note8. 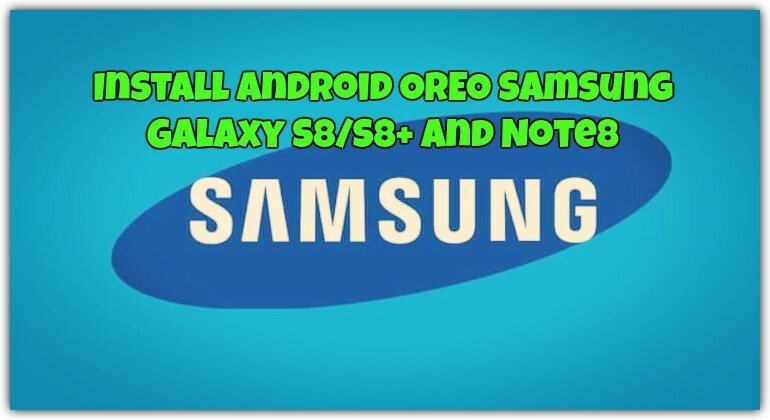 So today in this guide we will show you how you can easily download the Android OREO update for the Samsung Galaxy S8/S8+ and Note8 and install the same with the help of Samsung Stock Recovery. This guide is only for the Samsung Galaxy S8/S8+ and Note8 users and don’t try this method on any other Samsung phones. But before following this method to take the full backup of your phone. This will erase the data on your phone so if you update, make sure to back up first. As we mentioned above to apply this update to your phone first, you need to the flash the software version on your phone with the helo ODIN flashing tool. Then you can install the OREO update on your Samsung phone. Read all the steps very carefully and follow all of them one by one on your phone. So let’s get started and update Samsung Galaxy S8/S8+ and Note8 with the leaked build of the Android OREO with February Security Patches. First, download the Software version for your phone form the below mention links and save it on your desktop. Now download the Android OREO Update file for your phone and save the ZIP file on your phone’s SD card. 1. Download the ODIN FLashing tool here and save it on your desktop. 2. Now you need to FLASH the Software version on your phone. Here is the detailed guide which you can check it here that how to Flash ROM on Samsung Phones with ODIN tool. So let’s start and flash the Software version. 3. Download the Software version zip file from above and extract the folder on your desktop. Now you will see some files in the folder. 4. Now boot your Samsung Phone in ODIN mode. To do this first turn it off then hold Power + Volume Down + Bixby button. 5. Once your phone in ODIN mode. Connect it to the PC with USB cable. 6. Now run the DOIN app on your desktop and put the corresponding BL, AP, CP, CSC (ignore HOME_CSC), but nothing in UMS. 7. Now hit the start button to start the flashing process. 8. Once the software version is flashed successfully on your phone, your phone will reboot to the setup screen. 9. Now download the Android OREO Update file for your phone and save the ZIP file on your phone’s SD card. 10. To flash this file on your phone. Boot your phone in recovery mode. To do this shut off your phone then reboot into recovery by holding Power + Volume Up + Bixby. 12. Use the volume buttons again to select the update.zip file and the power button to select it. The update will then start. 13. Now this will take 2 to 10 minutes to install the update. After this just set up your phone like normal. Now your Samsung Galaxy S8/S8+ and Note8 is updated with the latest build of Android 8.0 OREO. So this I’m guessing was not for snapdragon? Is that why it’s no longer on the site? I am so glad I didn’t do it when I was going to.